The Shark is the scariest, fastest fish in the sea....and even faster on the track! "I was pleased with the shark car design. The plans were easy to follow and the car turned out awesome! My Son won best of show with the shark car, very happy boy!" Sharks accelerate fast and finish first! The Shark car design plan contains multiple templates, and 3D rendered images to show exactly how to build the shark car, step-by-step. Includes weight placement, speed tips, six painting schemes and we even animate the shark so you can see it from all angles just before you sink your jaws into your competitors! 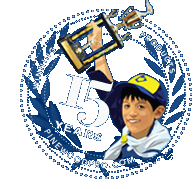 Get the best pinewood derby car design plans...only from Pinewood Pro. We even show your car rotating with a 360 degree animation so you can view it from all angles! Download the	Shark direct to your computer in seconds. Our 3D pinewood derby car designs are the best on the market, guaranteed! Very detailed instructions. Good for a beginner. Quality template, has really helped to make the process easy for me. Nice documentation with patterns. Made the job much easier for my grandson and I. Have a good foundation of where to start for a first car. Great price, great buy, awesome detailed instructions!!! Will be buying from y’all again for sure! It’s great really for a first time builder. Now that I have a clue I probably wouldn’t go this route again, but great for my first build since I was a kid! A fantastic template that turned out great. This car is surprisingly fast. We downloaded this design with instructions for my son's very first Pinewood Derby. Cutting, shaping and attaching the fins took some time, but overall our Shark Car turned out great! Back when I did Pinewood Derby, you drew everything out by hand and hoped it looked good. This being my son's first time (and my first time as the guy doing most of the work), I was very thankful to find this site and help my son make the car he wanted. Directions were very thorough, easy to follow, and the templates make it easy to cut (once I figured out how to use a coping saw again). Can't wait for next year! This was our first attempt at a Pinewood Derby car & we didn't really know where to begin. My son picked the design & we found the instructions very easy to follow, with lots of helpful hints included. We did redistribute some of the weight, based on tips from Derby vet. But the car came out looking great & placed second overall in his pack. Not bad for a first timer! As hardly a handy man, I was delighted to find such a cool car that seemed fairly simple to put together with my 8-year-old Bear Scout. I definitely had him involved in the project, as I'm not a fan of the overzealous dad that builds a masterpiece that likely wins the top prize without any input/help from the Scout. Anyway, I'm happy to report that thanks to your design and easy-to-follow directions, my boy won the Scout Favorite trophy. And though he didn't win one of the top spots in his den, he did finish first once and second place three times. Unless I missed something in the instructions, it would have been nice if there was a section for an alternative design that may be more aerodynamic. Overall, we were very happy with the end result, and you sure put a big smile on one Scout's face. Thank you! The pattern was super easy to use. Great looking design, my som's car tied for 1st in best looking car with only a basic red paint job and applied sticker accents Took a lot of dad's help to lower the weight of the front and get enough weight in the back, but ended up 3rd in the den. Car took 1st and 2nd place. It was the first time we did the pinewood derby. So we were very pleased. My son and I had a good time building this car. The instructions are straight forward and easy to follow. Built the car entirely with hand tools except drilling for weights in the rear. Cuts were easy to make. The car is heavy on the front end. You will have to drill deep to get enough weight in the back to achieve the correct balance. Drill the holes 1st and be careful as they may interfere with your "tail" cut. Ran smooth and was a hit on race day. Boys commented that they were "sorry it didnt win but at least you have a cool car"
We were new to the pinewood derby and my son picked out the shark car design from your site. I was extremely pleased with the detailed instructions and tips about weight distribution, materials, and do's and don'ts. We followed the instructions as best we could, and my son won 1st place in his den and 10th overall in his pack. He (and Dad) were very pleased! Son's first car, followed pattern/instructions to the letter and he won his Tiger division and came in second for the day. Put weights in center of car and had no issues with speed or track performance. Easy to follow instructions really helped this first-time Pine Wood parent!! Step by step cut instructions are easy to follow. Great design to add the cylinder weights too. Fun and easy to build. The plans were easily downloaded and easy to follow. The Shark pinewood derby car design was fantastic and Very cool. Both my boys won Most Original Design and one took 1st in the Wolf Den. This was my first shot at trying to build a Pinewood derby car, and was unsure on how to go about doing it. I searched the internet for ideas and found your website and I asked my son Jared to pick a car he liked, and he chose "The Shark", for the coolness factor alone. The template was very easy to follow, and the instructions were very clear. We took 4th place in our division, but Jared was more happy with the "Coolness" than the actual results of the race. Although he did miss third by two one thousandths of a second, he was not disappointed with the trophy we built. Building the car was easy for any novice. I used a scroll saw to cut the template out on the wood, but it could be easily done with a coping saw for those who dont have the luxury of having a scrolling saw around the house. Having got our first Pinewood Derby under our belt, we will be back next year for more ideas. my friend has a nice wood working shop, so it was pretty easy to cut the small fins and sand them down to right thickness and also glue them to the body. this would be tricky wiithout the right equipment... but son was thrilled and he got a lot of compliments at the race by a lot of kids and adults. We downloaded this design with instructions for my son's very first Pinewood Derby. He won honorable mention for design and I'm sure we would have come in higher than that had we done better with the paint job (we went with a solid blue color for the body and glued on some of those craft squiggley eyes). Instructions could use a little improvement, but overall, very helpful, especially when combined with looking at a Pinewood Derby how to book from the local library. It was my son's. First BSA pinewood derby... he wanted something fun. The shark template was easy to cut out and piece together. Instead of just attaching the fins to the back, we routed down a bit for more stability. We probably could have tweaked more for speed, but he took 3rd place. My 6-yr old nephew chose this design for his FIRST Derby Car!! Raced well, was the only shark car there, and was fairly easy to make (we just used a jigsaw for rough cuts, and let him handle the sanding/painting/weights). He enjoyed learning to use the Dremmel tool!! Only problem was we had to add a LOT of weight!! Was approx 4.2 oz when done, but then we added stick on flat weights that day. Needed a full pack of the flat weights. Was an easy fix though. very easy and car came out great. My eight year old cub scout wanted to do a shark and this design really seem to fit his abilities in terms of straight simple cuts. The instructions where pretty straight forward and easy to follow. It needs more detail on attaching the fins, we just glued them on which worked fine. We chose to add side fins behind the wheels as well, which looked pretty cool. We ended up painting ours grey and where able to achieve a pretty realistic color with a combination of grey primer and white spray paint. We painted the whole car grey primer and just oversprayed it in white with heavier concentrations of white toward the bottom. After we clear coated it, the results where better than we anticipated. The car ran very fast in its first race and won, but it ran much slower in successive races. When we got the car back after the races one of the wheels had been jacked up from obvious mishandling. If it wasn't for this, I think my son would have trophied in his den. He was happy however in that he won a medal for best design. We Won 2nd place for BEST DESIGN!!! My son's car won the first and second race, but not any after, but he won 2nd place for best design and will go to district! 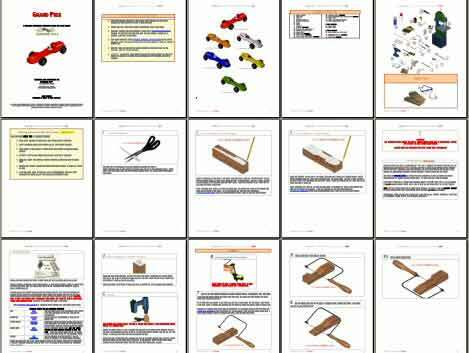 Tiger - Pinewood Derby 3D Design Plan - INSTANT DOWNLOAD! Army Tank - Pinewood Derby 3D Design Plan - INSTANT DOWNLOAD!